All visitors to Nepal except the Indian nationals must hold valid passports and visa. Tourist visa can be obtained for US$ 30/- from any Royal Nepalese Embassy or Consulate offices overseas for a period of 60 days. However, a visa can also be obtained at Tribhuvan International Airport, upon arrival in Kathmandu and at the previously mentioned entry points. 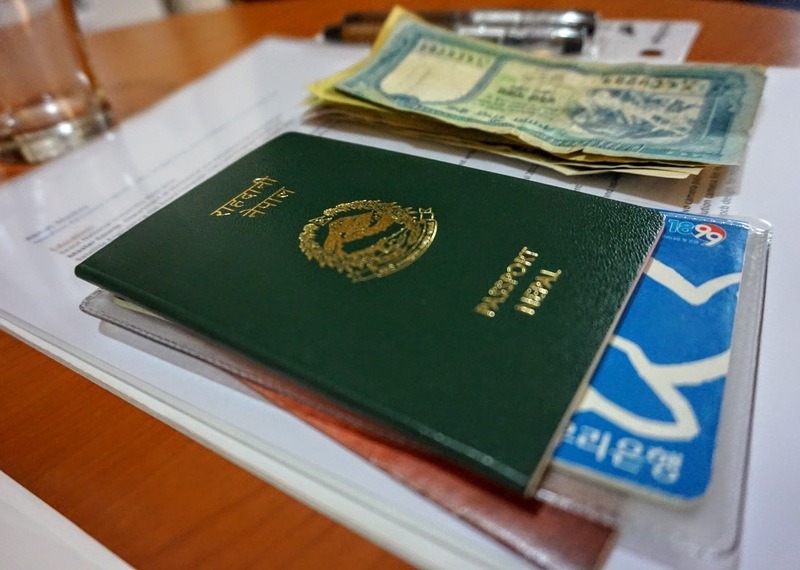 Tourists can extend their visas at the Department of Immigration, Bhrikuti Mandap, adjacent to Nepal Tourism Board and opposite to City Hall, Kathmandu. Single Re-entry US$ 50.00, Double Re-entry US$ 75.00, Multiple Re-entry US$ 110.00 for 30 days. Re-entry facilities should be used within the validity of the visa period. It is not considered as a visa extension. Reception counter will provide all kinds of forms free of charge. The citizens of China are requested to get their entry permit from China, since the entry points of Nepal will not provide Chinese Citizens with entry visa. Re-entry visa within 150 days of the same visa year costs US $ 50 for 30 days. Visa extension for 30days US $ 50 or equivalent local currency. A tourist visa can be extended at the Department of the Immigration Office for a total of 30 days by paying US $ 50 in local currency. In one visa year (January to December) a tourist may not stay in Nepal longer than cumulative 120 days. For the visa extension, please attach a copy of photograph with the application form. US $ 2.00 in equivalent Nepalese Currency per day for the first 30 days. US $ 3.00 in equivalent Nepalese Currency per day for the next 31 to 90 days. US $ 5.00 in equivalent Nepalese Currency per day for more than 90 days. Trekking permit is not applicable / essential for general trekking route i.e. Annapurna, Langtang & Everest region. A transit visa can be obtained from the Airport Immigration for a period of 48 hrs on the presentation of confirmed air ticket. Fee for Transit visa: US$ 5.00.